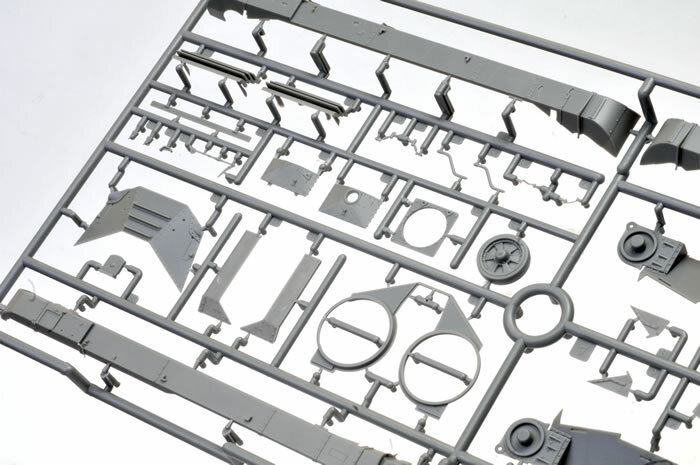 Advantages: Excellent level of detail; convincing surface textures; interior of driver’s and fighting compartments, crew commander figure. Offers both desert and BEF versions in one box . 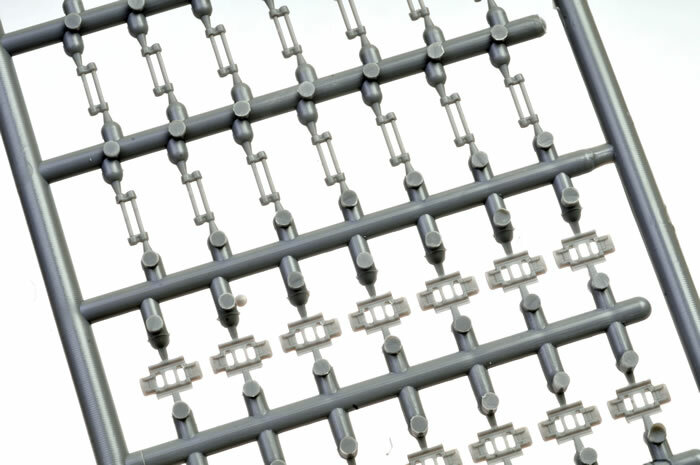 Disadvantages: Complex track assembly with poor fit. 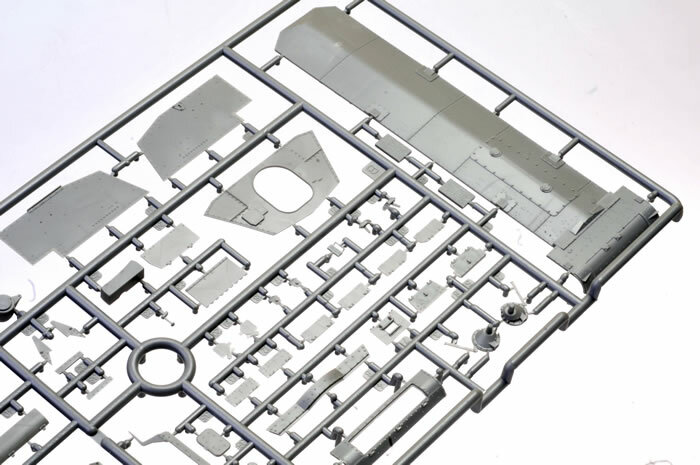 Recommendation: This is a fantastic, highly detailed kit of an important early war subject but that detail comes at the cost of a number of small fiddly parts and constructions. 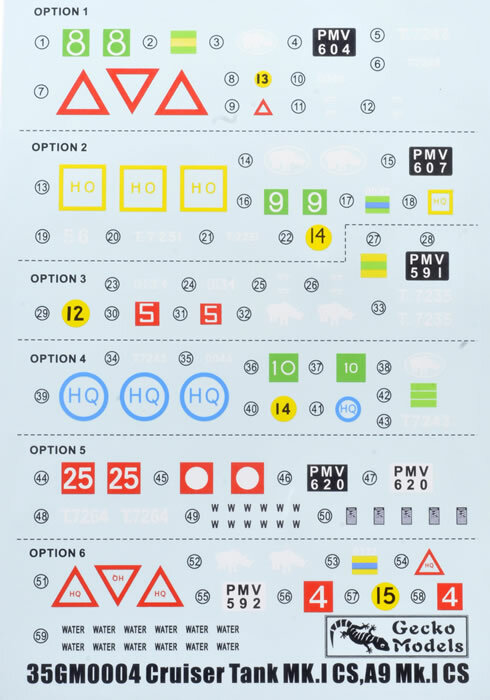 It offer excellent internal detail and a Commander figure as well as six marking options. 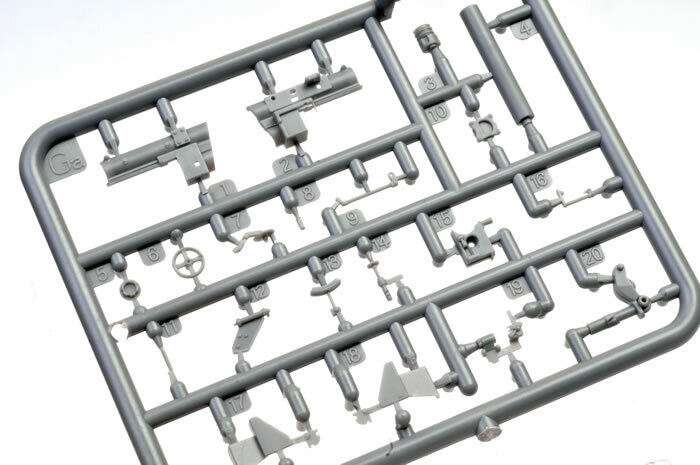 It is highly recommend for intermediate to experienced modellers. During the lean interwar period, resources were tight and British tank development (and the Army as a whole) suffered from little development and investment. Some development took place and one of these was the Cruiser A9 developed in 1935 and tested between 1936 and 1938. It was noted that despite having an excellent gun in the 2 Pounder, it offered only an AT capability and the decision was made to develop a second type of tank to fire smoke and HE deemed essential on the battlefield and offer close support to the standard Cruiser tanks. The A9 Mk.I CS was the first such tank and its 2 pdr gun was replaced by the 3.7” (94mm) howitzer. This was a conversion of the 3.7” mountain howitzer and could fire HE, shrapnel and smoke rounds. These tanks were allocated to the Regimental HQ and were deployed as needed. Approximately 20% of the A9 production were CS variants. The A9 CS weighed in at 12.2 tons and was powered by an AEC 150 bhp petrol engine. This gave a max top speed of 40 km/h and a cross country speed of 15 km/h with a road range of 240 km. 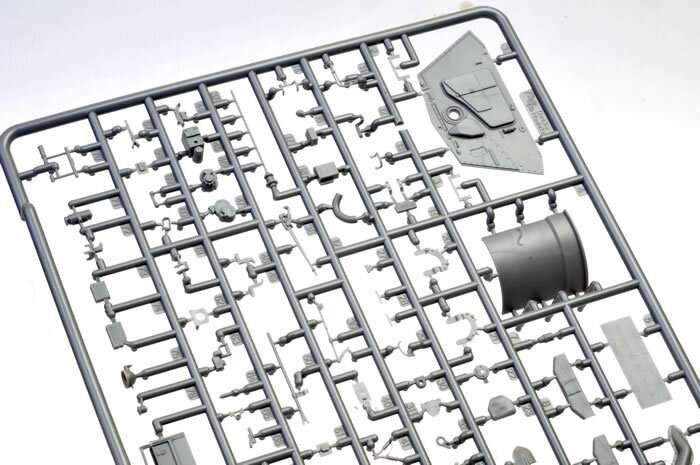 Armour was 15mm. The vehicle had a crew of 6 but in hot climates the sub turrets were generally unmanned due to high temperatures reducing the crew to 4. 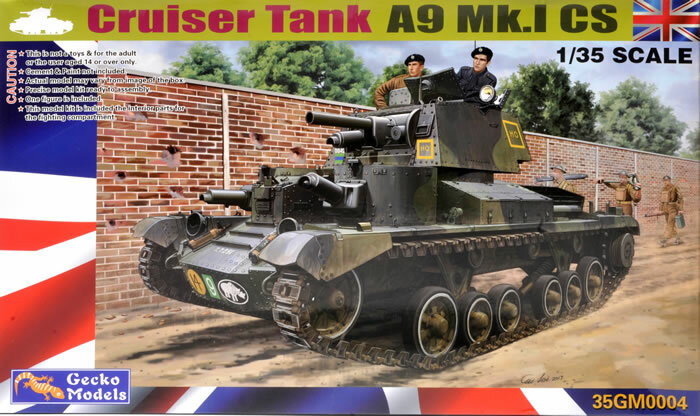 When the war broke out in 1939 the British armoured forces were woefully underequipped and the A9, A10 and A13 made up the bulk of the Cruiser tanks in service. The A9 was deployed to France as part of the BEF but squandered in futile frontal attacks ordered by the French which were not the role of the fast Cruiser tanks. A large number were left behind in France where it proved well able to take on the German armour including the early Mk IIIs and IVs although its weaker armour was a severe limitation. The A9 was deployed to North Africa and proved to be more than a match for Italian armour however its brittle tracks caused problems. Its AEC power plant proved quite reliable however. 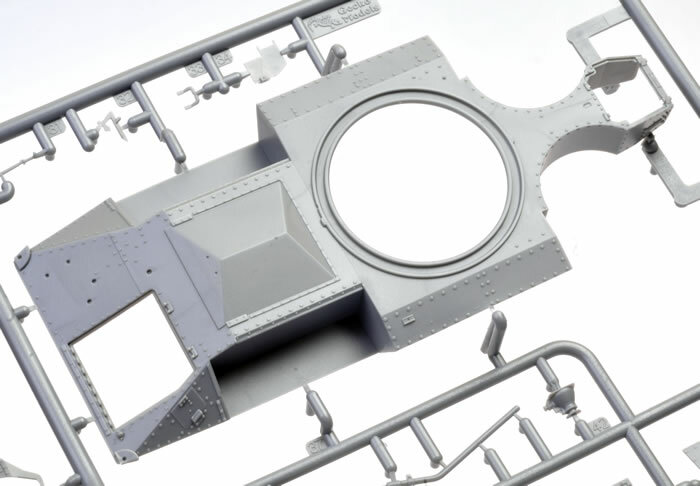 After years of neglect, companies such as Bronco, Vulcan, Trumpeter and Gecko have finally released kits of these important interwar designs with which Britain went to war. This is the second A9 from Gecko following its excellent A10 and A9 Mk 1. 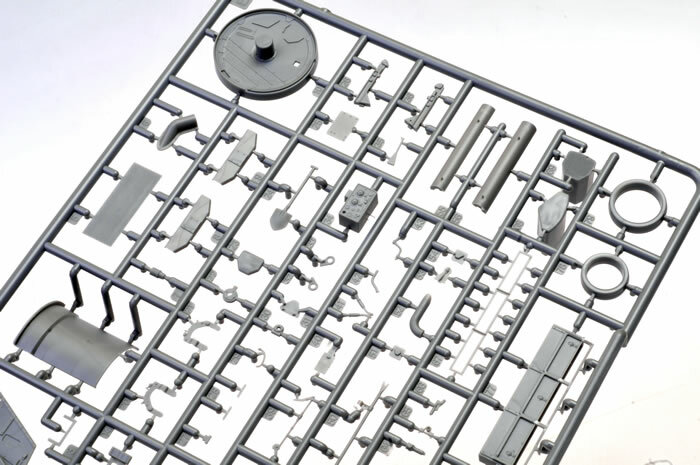 This kit represents the CS version of the tank and packs a lot into the sturdy box which is packed with light grey styrene parts, photo-etch, decals, wire and cord plus a small poster of the box art. Unlike a lot of contemporary producers, Gecko provides a crew figure for each of their releases and this one comes with a Commander in black coveralls and the early pre-war British fibre helmet. 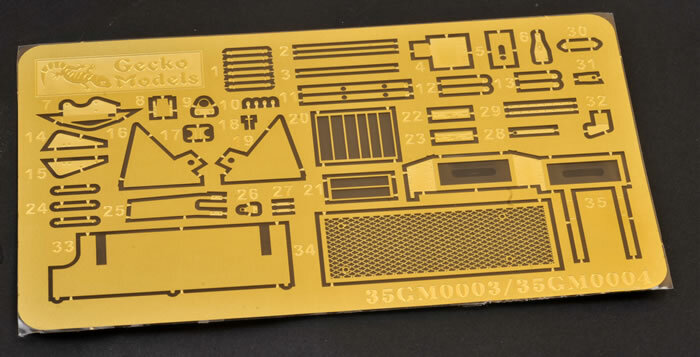 The kit is highly detailed and has many extremely fragile and small parts plus a number of photo-etched assemblies. 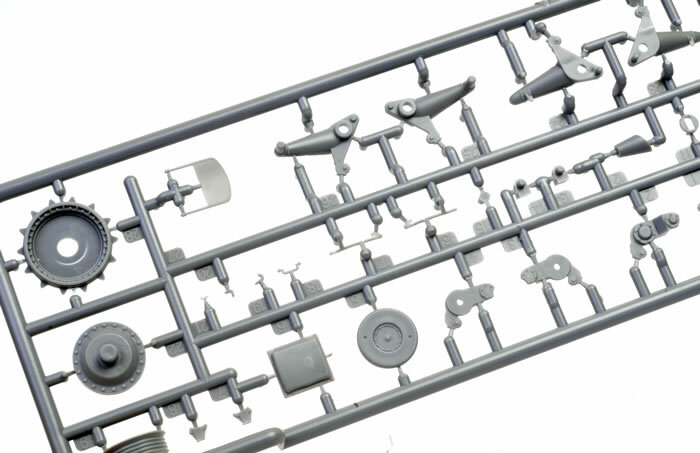 It is not recommended for the beginner and will require a lot of patience with its 1032 plastic and 35 photo-etched parts of which nearly 600 are the tracks. 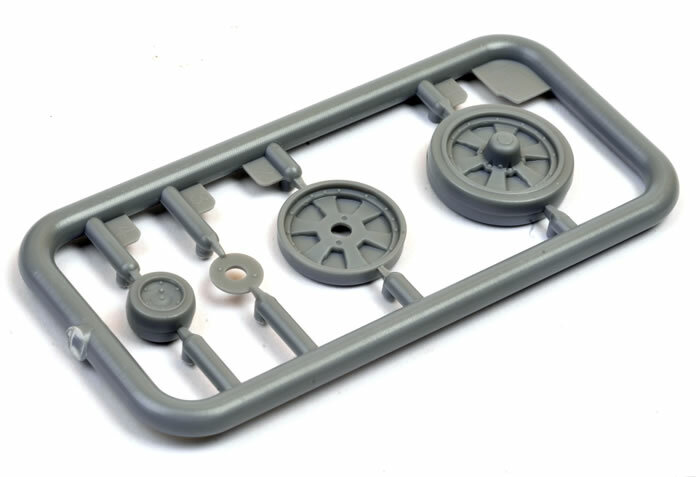 A lot of the interior parts (but not all) may be discarded if building the tank with hatches closed. Some of the photo-etched assemblies such as the muffler shroud and mounts are a bit tricky but with patience and test fitting even within my skills range. 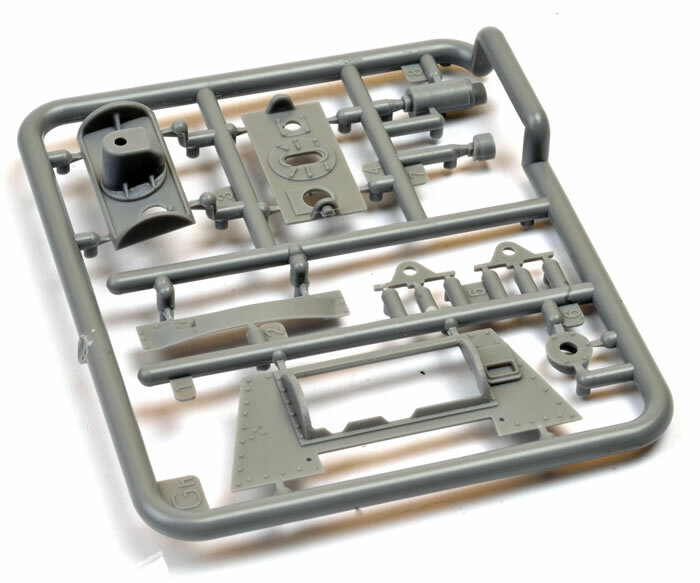 Parts fit is good and accuracy to references and photos of the real thing appears pretty much spot on. 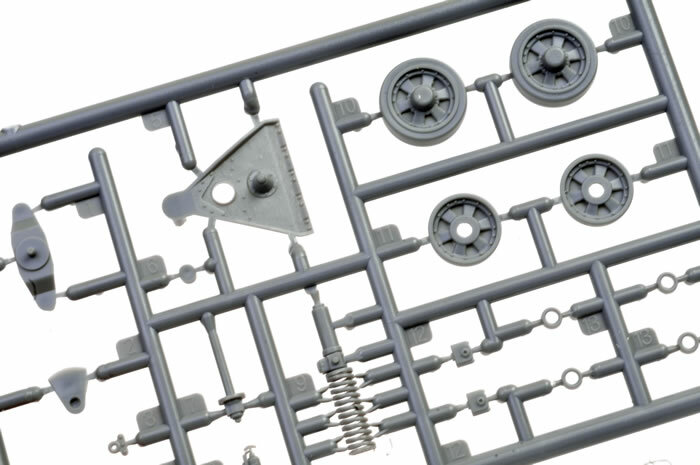 Suspension units are complex but assemble surprisingly easy and the mould springs do compress but are fragile. Optional parts are included for the desert version in the form of different skirting, spare tyres and a POL rack for the rear. Which includes small POL containers in pairs (6). 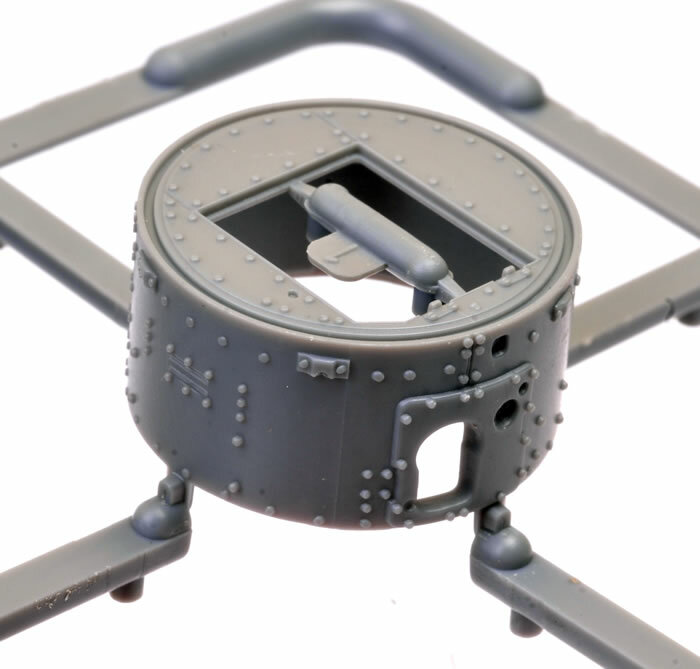 Turret interior detail is very good with a very complete 3.7” howitzer with Coax Vickers and a full turret basket. A No 19 Set radio is included and very nicely done however most of these vehicles would have carried earlier No 9 and 11 Sets. 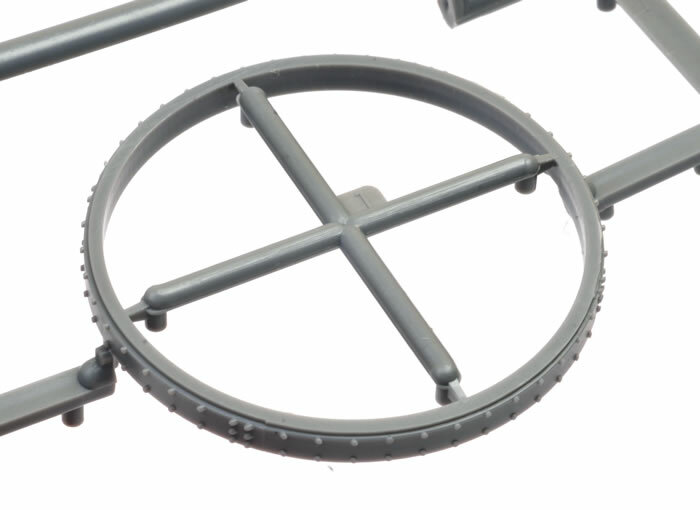 The antenna mount is quite detailed but simple and supplied in the raised position along with an Aerial. 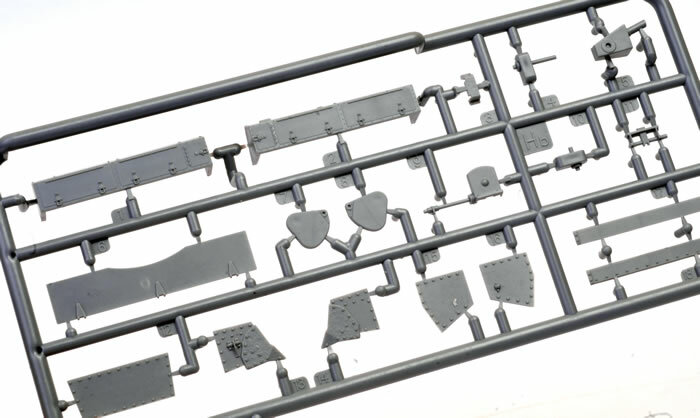 This is a fantastic, highly detailed kit of an important early war subject but that detail comes at the cost of a number of small fiddly parts and constructions. 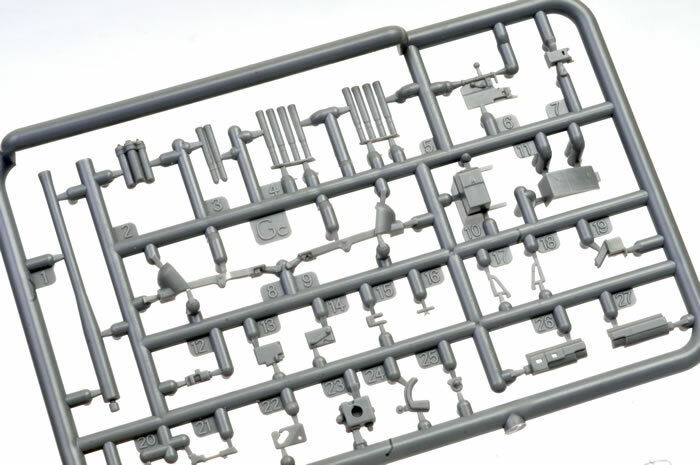 It offer excellent internal detail and a commander figure as well as six marking options. 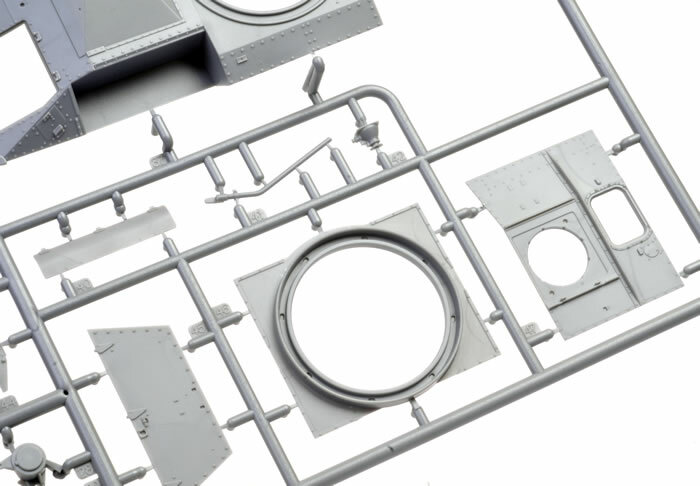 It is highly recommend for intermediate to experienced modellers.